Concrete batching plant south africa is mainly used to produce concrete. With the development of construction industry, the demand of concrete is increasing. So more and more clients are willing to purchase the concrete batching plant for sale in south africa. 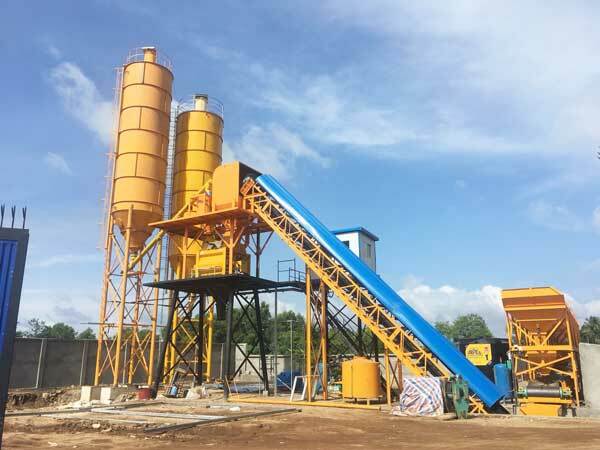 Concrete batching plant south africa has various of types, including ready mix type, stationary type, mobile type, small type, portable type, mini type, etc. 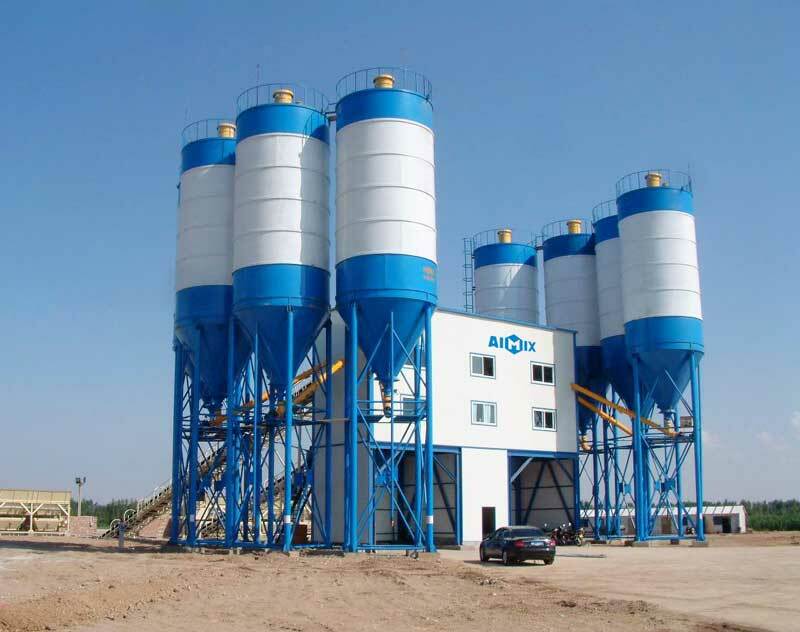 Whether you want to produce the concrete to sell or use for your own projects, you can pick up a good concrete batch plant for sale in south africa. 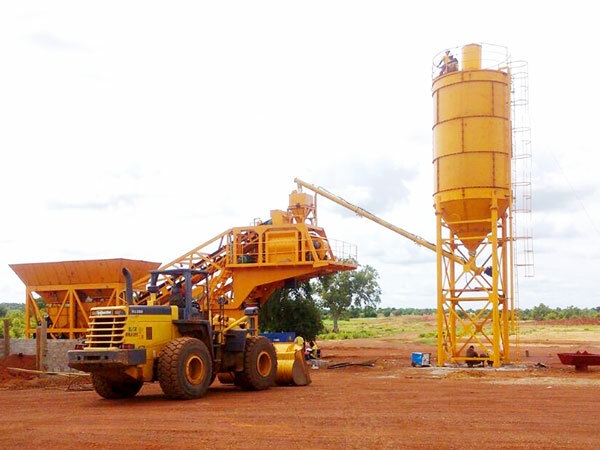 Different types of projects need different batching plant for sale in south africa. 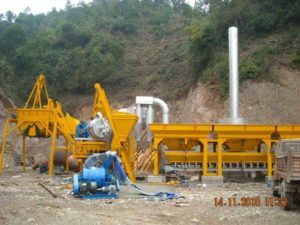 There are many types of concrete batching plant south africa and they have their own features and advantages. So before you choose the concrete mixing plant in south africa, you should know these questions clearly. 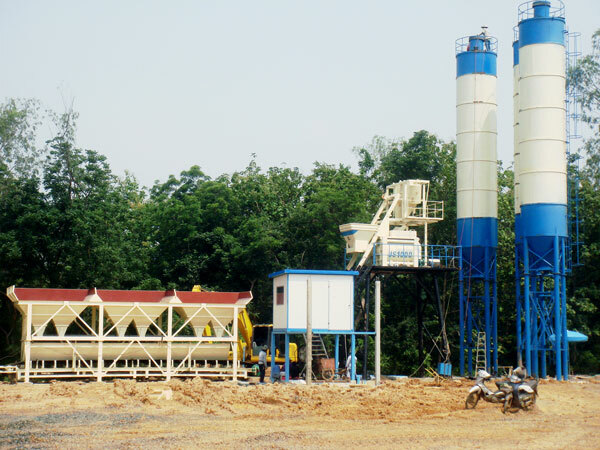 Do you want to use the concrete batching plant for your own project or selling the concrete? 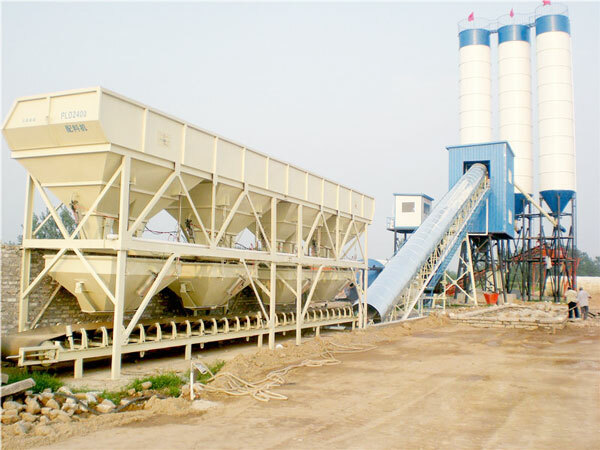 What production capacity of concrete batching plant for sale do you need in one hour or one day? How big is your construction site? How much is your purchasing budget? Then, I will introduce different batching plants south africa in detail in order to help you learn different products. You should lay the foundation before you use the stationary concrete batching plant south africa. 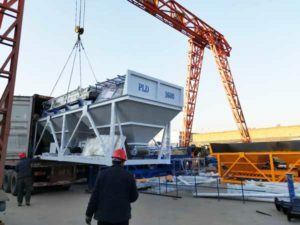 So when your projects is concentrated and you don’t need to transport the machine frequently, stationary concrete mixing plant south africa is good choice for you. 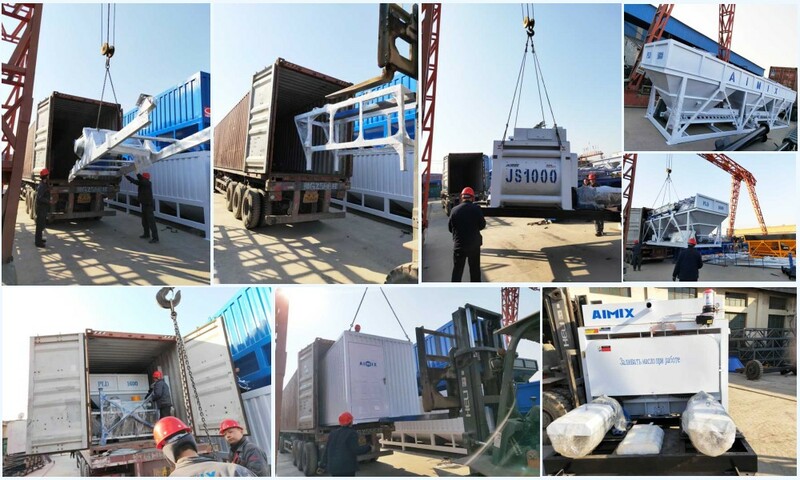 The main parts of mobile batching plant south africa is focused on a trailer, so it is more convenient to move and install. Mobile concrete batching plant south africa has strong adaptability. 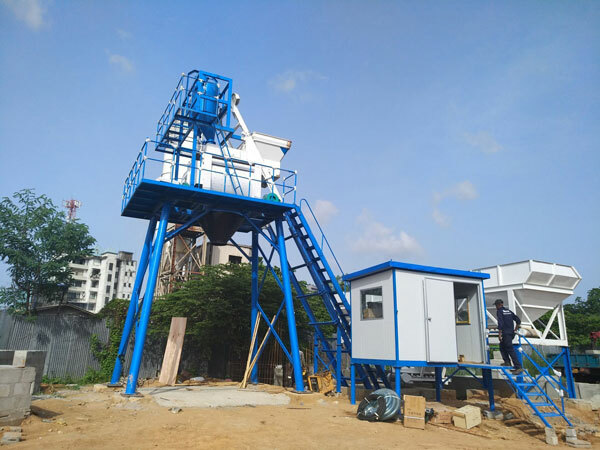 Skip hoist type concrete batching plant in south africa has the features of high working efficiency, short mixing period and simple operation. It is more suitable for producing the concrete for your own engineering. Belt conveyor type concrete batch plant for sale south africa has higher mixing quality because its conveying system is sealed. 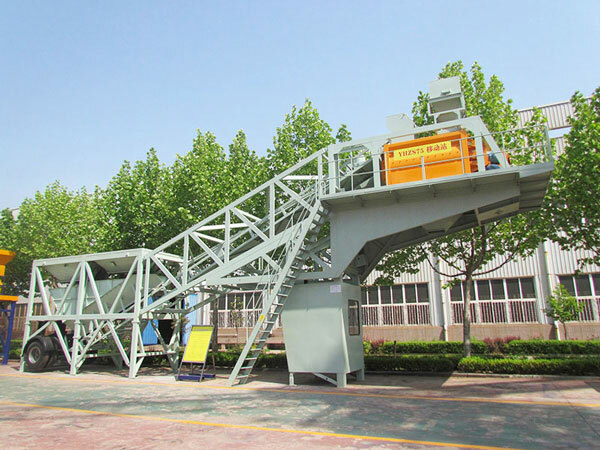 So belt conveyor type concrete batching plant is more suitable for producing concrete to sell. According to its production capacity per hour, there are large type and small type concrete batch plant in south africa. If you need amount of concrete in one day, you can choose large type concrete batch plant for sale south africa. On the contrary, small size concrete plant is good for you. High quality machine – Advanced technologies and parts can sure the machine service life. This will reduce the machine failure rate. Acceptable and reasonable price – Compared with other concrete batching plant manufacturers in south africa, you will find that the concrete batch plant price provided by our company is the most acceptable and reasonable. Sincere and thoughtful service – Telephone solution: for some small faults, telephone guidance to solve; Video solution: for some simple failures, solve them by watching video or video remote guidance; On-site solution: go to the construction site in time. We have set up the branch office in Philippines, Pakistan, Sri Lanka, Indonesia, Uzbekistan and Russia. Moreover, we will set up another branch office in South Africa. We believe that it is more convenient whether for us or for you. Leave your message to us if you are interested in our batching plant for sale in south africa.